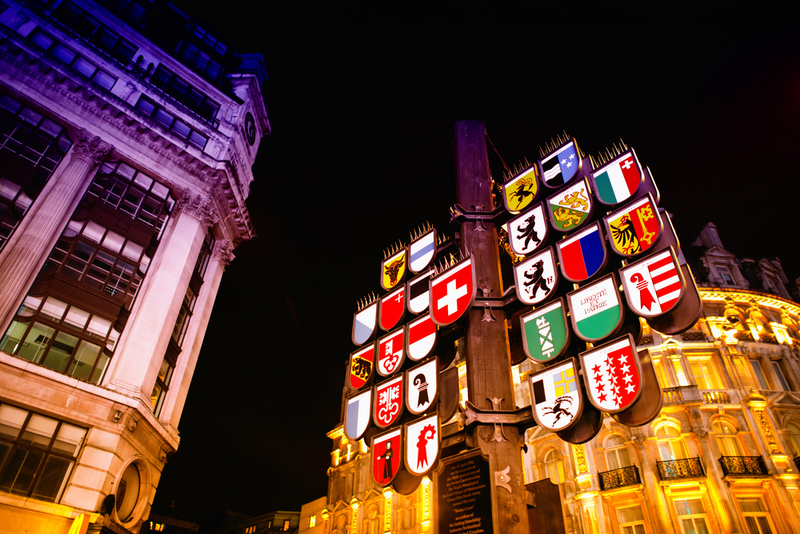 Apparently known in medieval times as the rather less impressive and glamorous-sounding ‘Road to Reading’, Piccadilly is undoubtedly one of the best monikered and best-known streets not just in London’s West End but, indeed, the whole of the capital. So, if you’re staying nearby and taking advantage of London hotels special offers, what must you look out for in or in the direct vicinity of this age-old, celebrated thoroughfare…? Believe it or not; there isn’t a bookshop anywhere else in the UK that’s older than Piccadilly’s Hatchards, which has been going strong for 217 years now. Not just that but it’s also likely to stock practically any book – fiction or non-fiction – you might desire; boasting, as it does, not one, not two but three Royal Warrants (from The Queen, the Duke of Edinburgh and the Prince of Wales). Granted it may now be owned by British book store giant Waterstones, yet Hatchards still impressively and reassuringly manages to maintain a unique character and – on the surface – full independence. Celebrating its 90th anniversary this year, this playhouse (which takes its name from the legendary West End street from which it’s mere walking steps away) holds more than 1,200 people in its vast auditorium, while its history has seen it establish itself as a variety theatre, followed by a casino and cabaret venue, until its return in recent years to staging productions of major family-friendly fare, in the shape of populist musicals like Annie and Grease. In addition to its proximity to Piccadilly, it ought to be noted this fine venue very easy to reach from high quality accommodation in the West End too, such as the Shaftesbury International hotel. One of the plethora of churches in the capital to be found that were designed by the awesome Restoration-era architect that was Sir Christopher Wren, completion of its construction came in the year 1672, while it was consecrated 12 years later. A particularly notable moment in its history came when the great poet-to-be was baptised as a baby on its site in 1757 and, in keeping with this artistic legacy, the charming church also hosts a regular market, art exhibitions and musical concerts. One of London’s most prestigious department stores, Fortnum & Mason’s been around now for more than 300 years, with its focus always on foodstuffs and dry goods. Having been a footman to Queen Anne no less, the original proprietor, William Fortnum, sold on unfinished candles in order to finance buying his own store, which eventually grew to become the fine outlet it is today. Renowned for its luxurious hampers and world-class assortment of teas, F&M’s wares and refined atmos is impossible to top – just the venue to visit following a top-notch breakfast Hyde Park London. Finally, one of the most famous junctions on Planet Earth, this piazza is renowned as a meeting point for millions of visitors to the capital every year. It’s, in fact, the meeting point of six different West End thoroughfares, namely Piccadilly, Regent Street, Shaftesbury Avenue, The Haymarket, Coventry Street and Glasshouse Street – and, as such, it shouldn’t be forgotten, it’s just as busy with vehicles as human beings. Famed too for its misidentified Eros statue (the bronze figure’s actually Anteros, Eros’s brother), it’s also become iconic in modern times for all its stunning, illuminated and motion-featuring advertising signs, which inevitably sees it compared with Times Square in New York City.